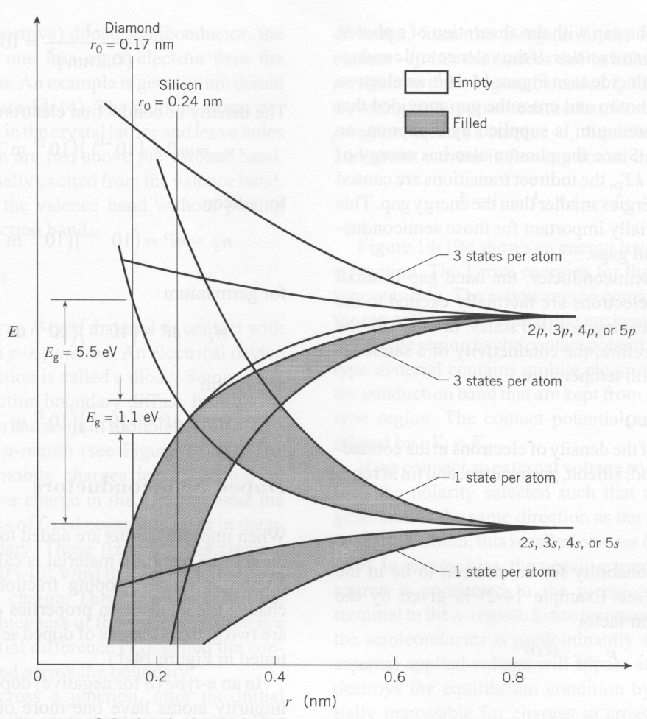 The Kronig-Penny model of a solid crystal contains an infinite array of repulsive delta functions. Our states will have positive energy. which means that the wave function differs by a phase at most. By matching the boundary conditions and requiring that the probability be periodic, we derive a constraint on similar to the quantized energies for bound states. Since can only take on values between -1 and 1, there are allowed bands of and gaps between those bands. The graph below shows as a function of . If this is not between -1 and 1, there is no solution, that value of and the corresponding energy are not allowed. 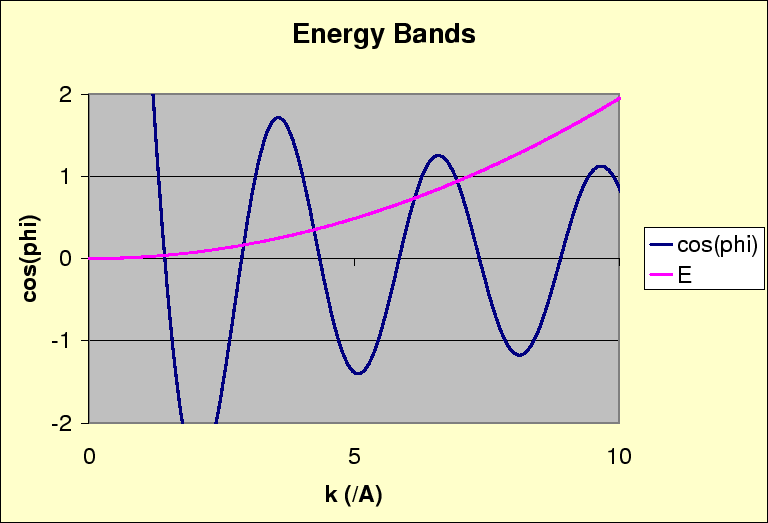 This energy band phenomenon is found in solids. Solids with partially filled bands are conductors. Solids with filled bands are insulators. Semiconductors have a small number of charge carriers (or holes) in a band.